"save me a piece of that corn for later"
.Boasting over 20+ years of sales and customer service experience, Mary enjoys working with clients purchasing premium pre-owned vehicles. Cleveland born, this Indian's fan has been in the Culpeper area for 16 years. In addition to baseball, Mary is a fan of fishing, shoe shopping and collecting Parisian trinkets.  Kenny has been in the Culpeper Area for 15+ years. 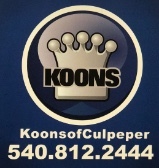 He has been with the Koons Family for roughly 3 years and has been very successful because of his excellence customer service. If your looking for an easy experience come by and see him. Gabe Fitzgerald is a graduate of James Madison University with a Bachelors degree in Kinesiology. He lives in Charlottesville, VA with his wife, Karen, and their son Noah! In his spare time, Gabe enjoys playing soccer and spending with his family and friends. 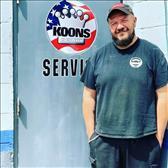 Gabe's outgoing personality lead him to Koons Automotive of Culpeper where he has been with the company for nearly four years. Jaimey Murray is a graduate of James Madison University with a Bachelors degree in Kinesiology. Outside of work, Jaimey enjoys football, friends, and spending time with his wife, Torey, at their home in Charlottesville, VA. Jaimey's ability to connect with others brought him to Koons of Culpeper family where he has been serving our customers for four years!